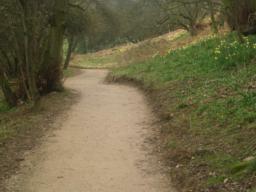 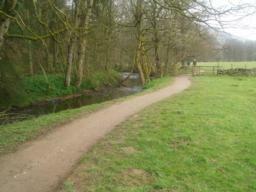 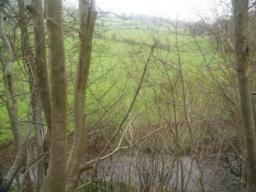 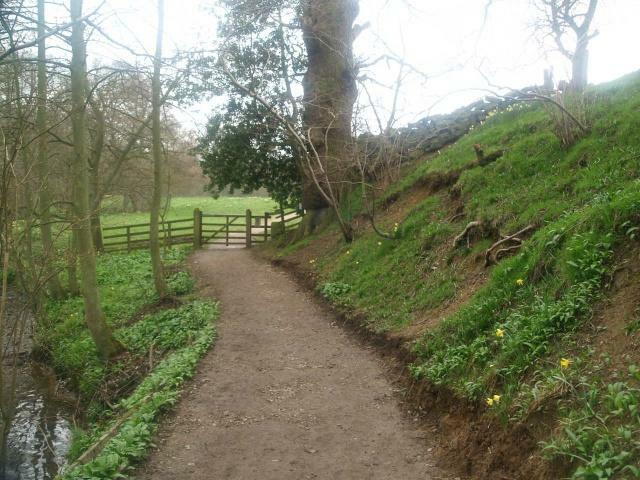 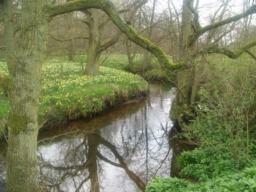 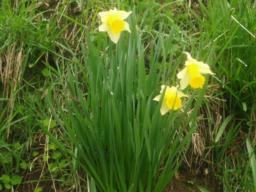 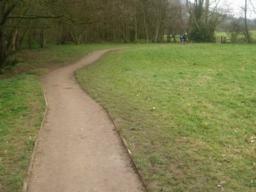 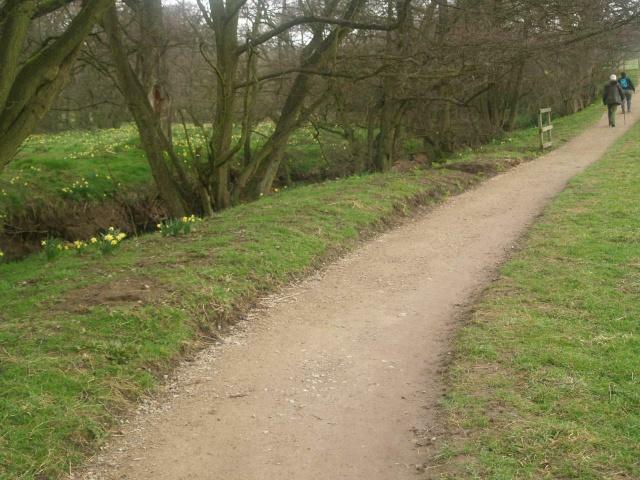 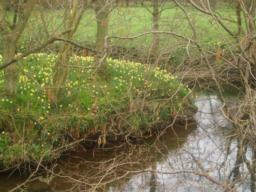 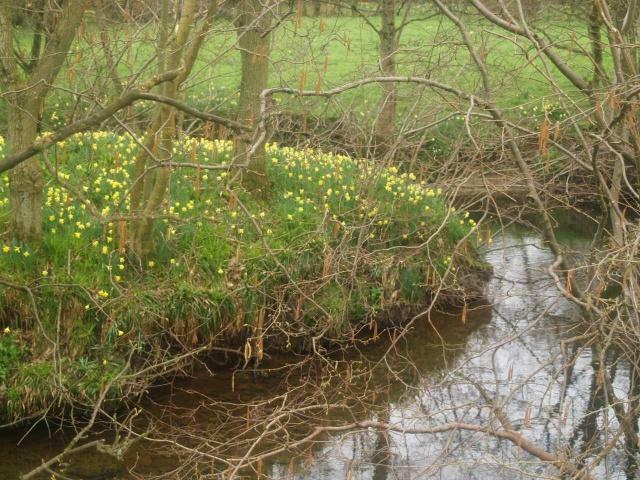 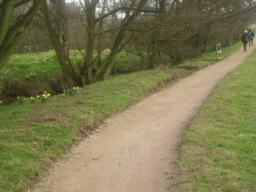 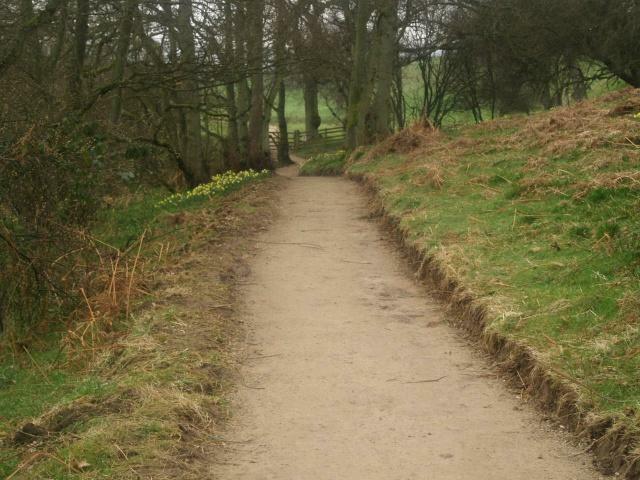 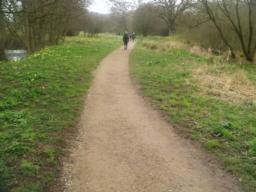 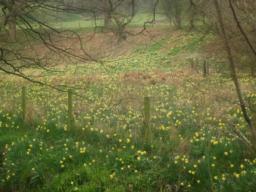 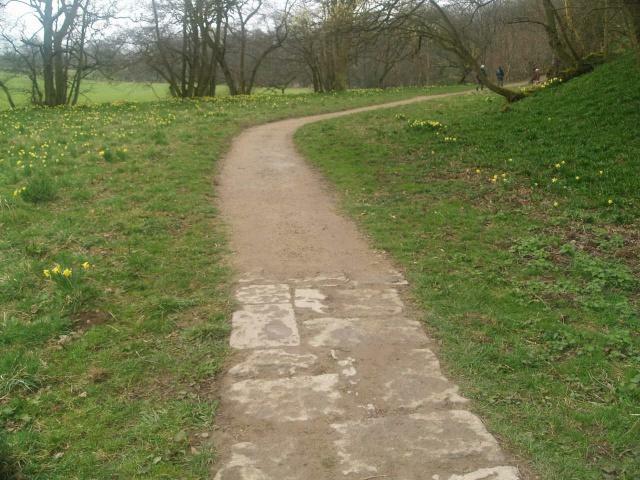 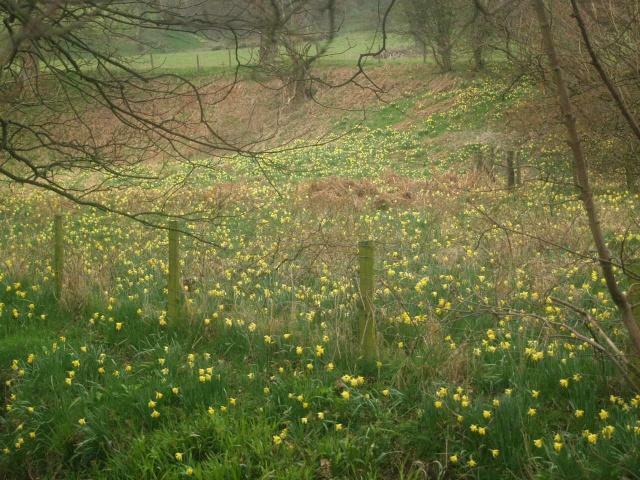 This is a very pleasant riverside walk especially in the spring when the wild daffodils are on display. 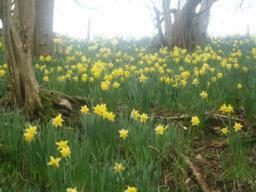 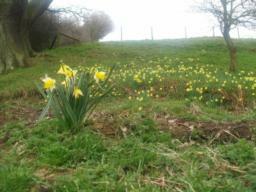 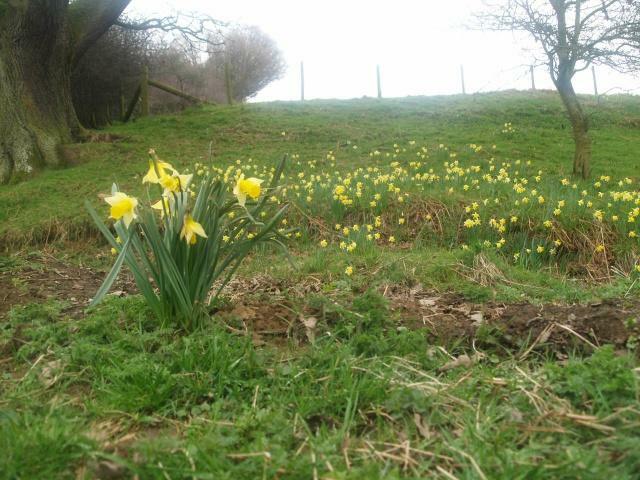 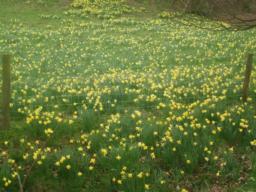 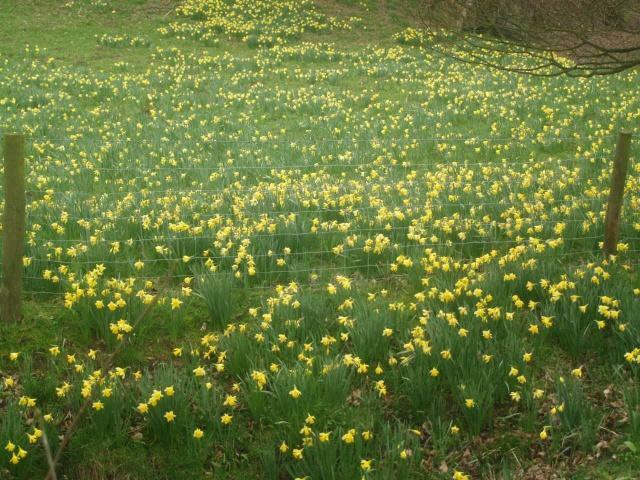 At their height in April the daffodils carpet the fields and glades adjoining the path. 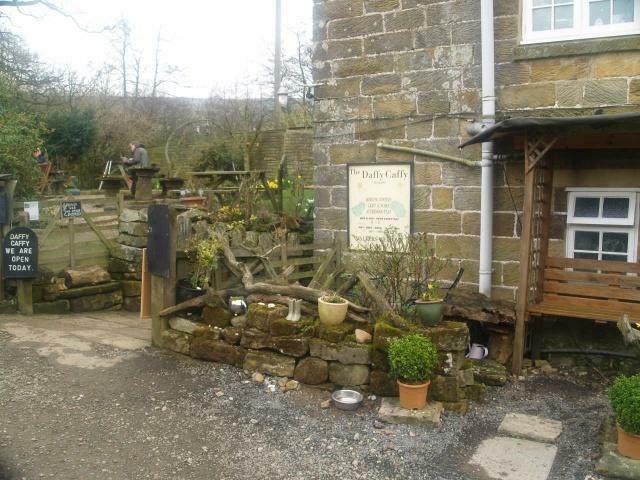 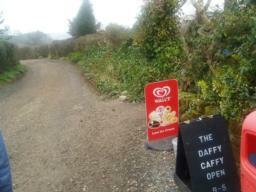 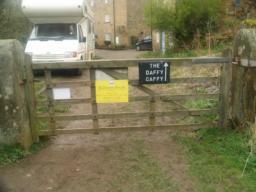 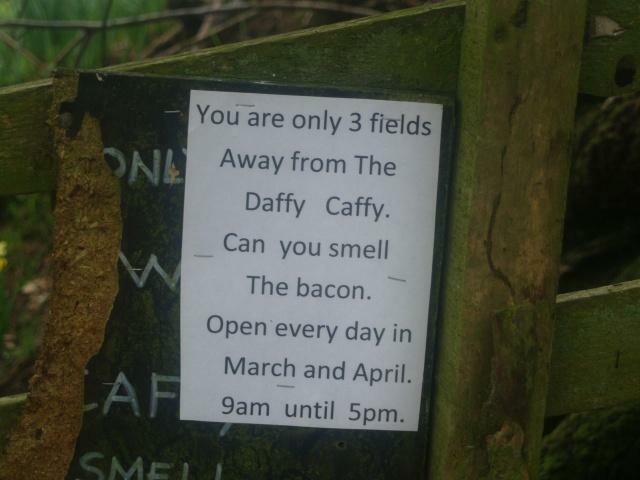 It starts at a car park with toilet facilities and ends at the Daffy Caffy where typically a cup of tea and bacon sarnie is the staple. 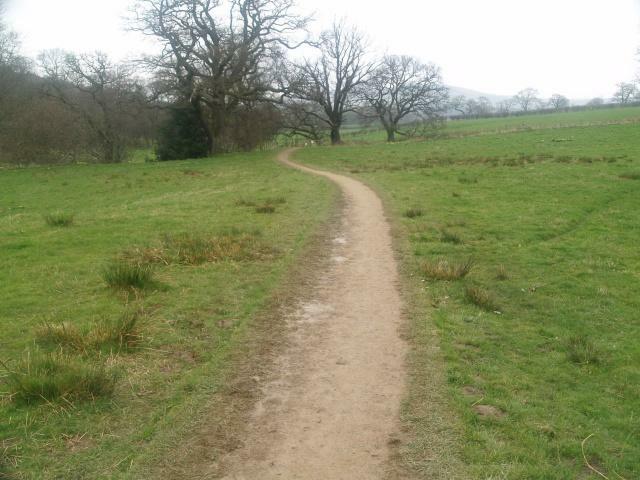 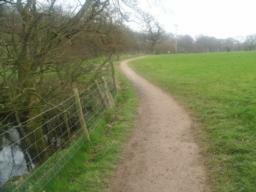 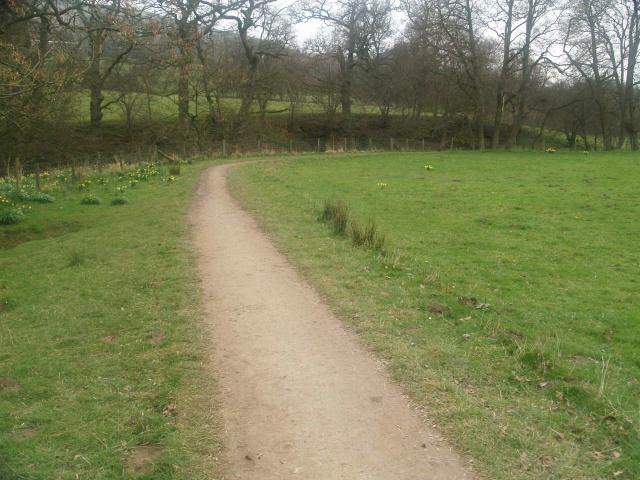 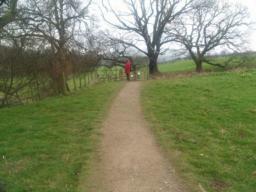 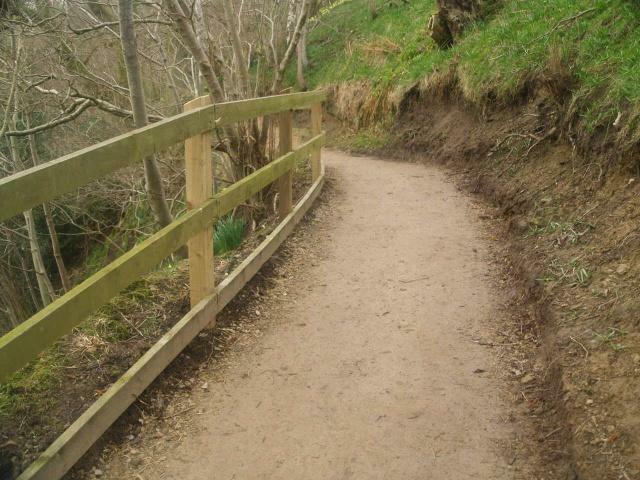 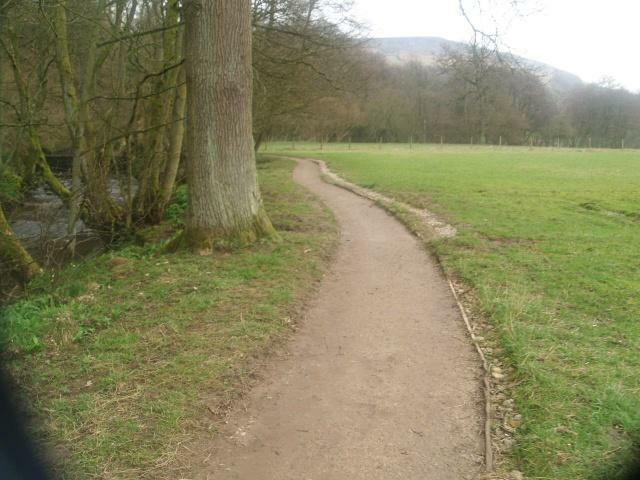 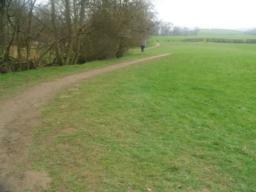 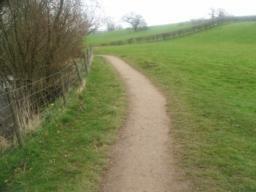 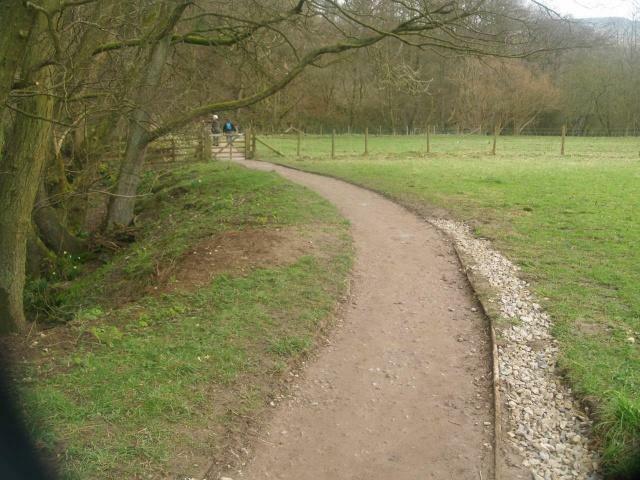 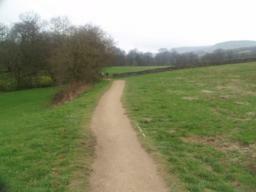 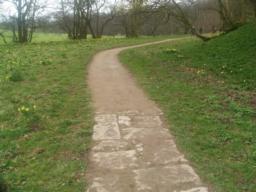 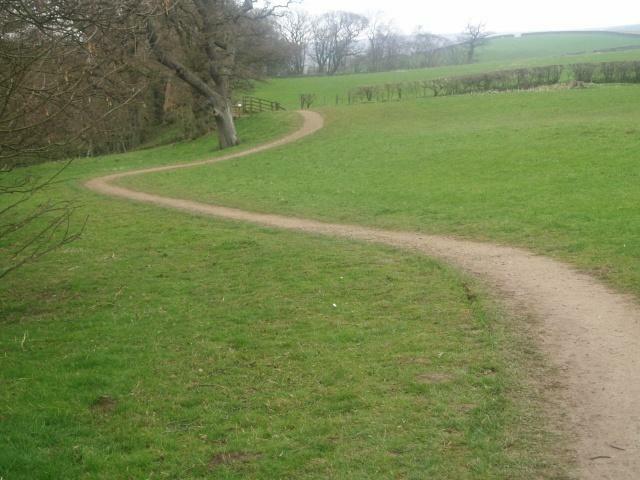 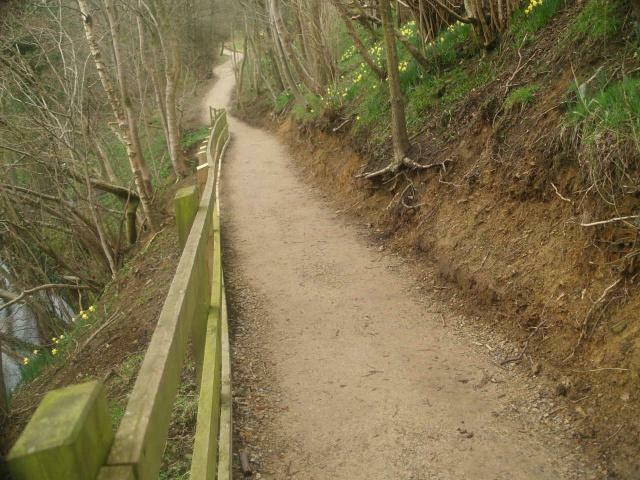 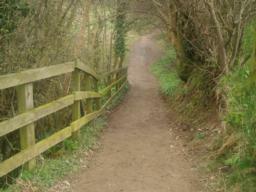 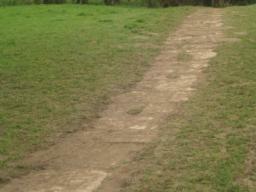 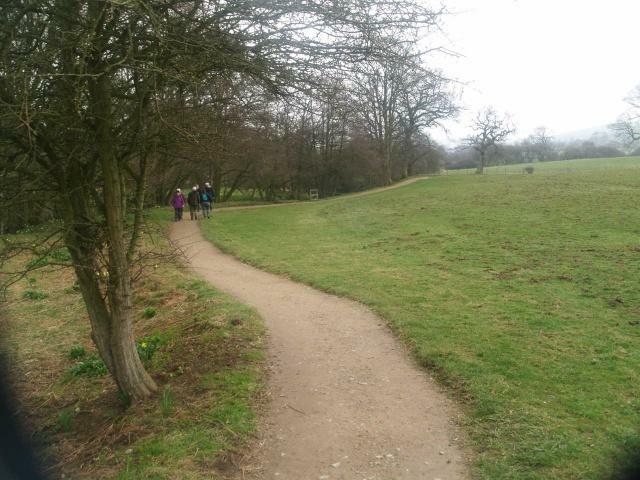 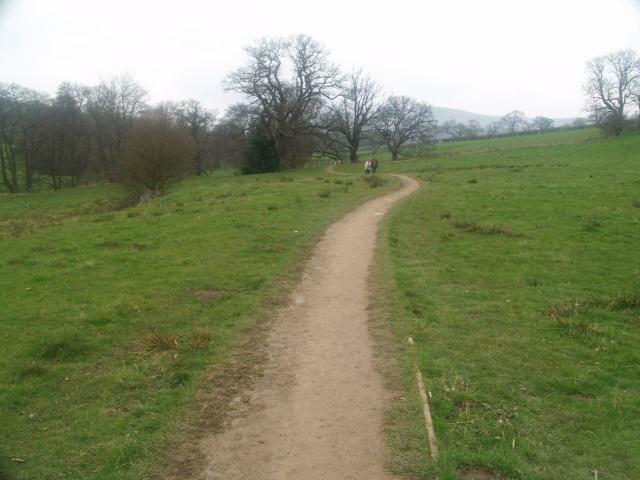 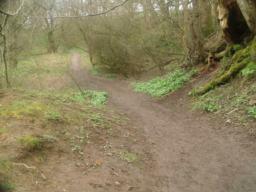 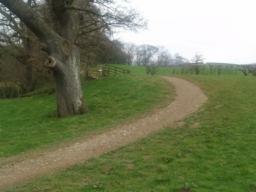 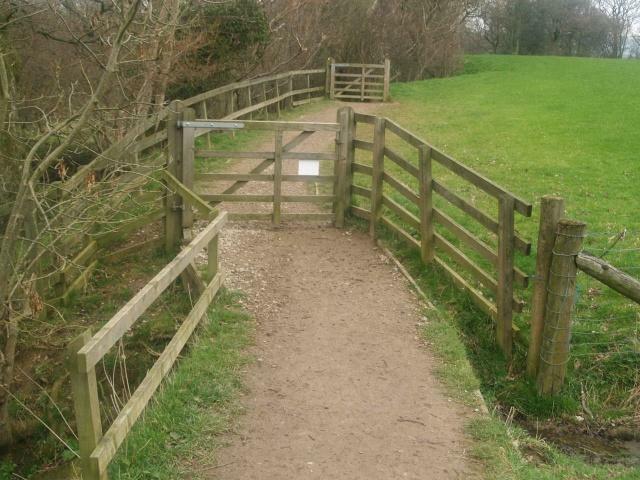 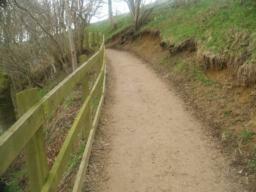 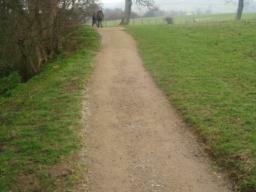 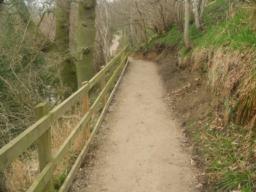 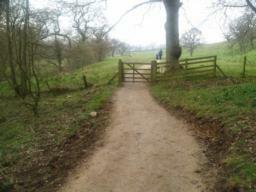 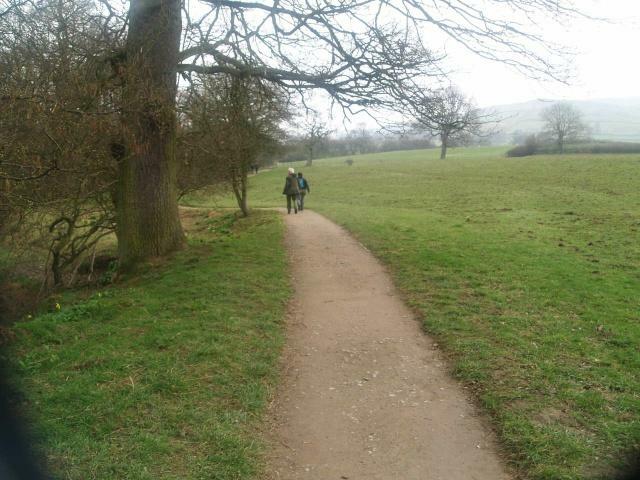 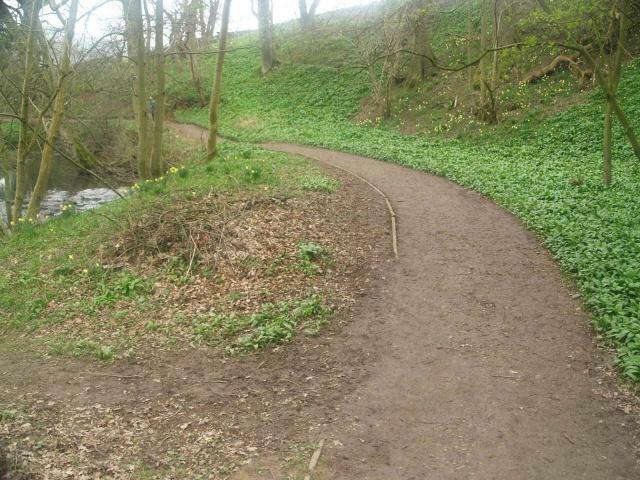 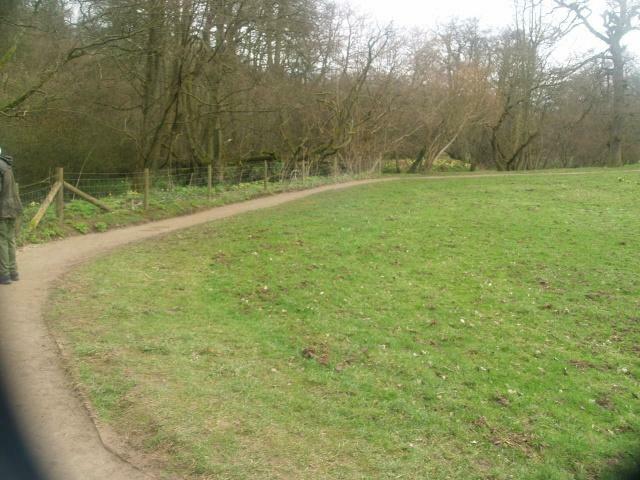 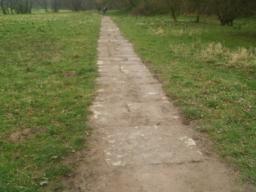 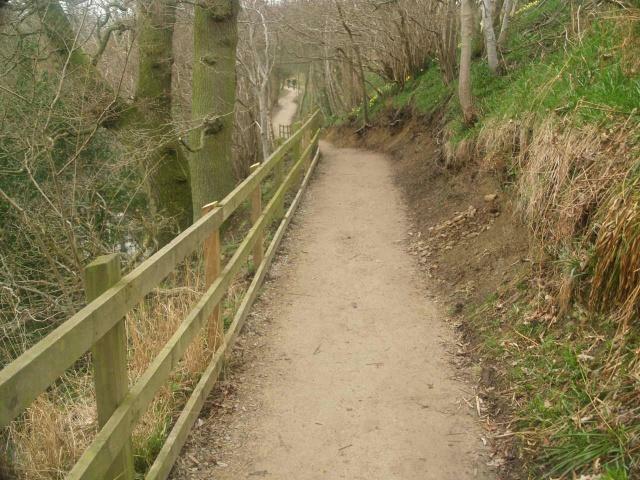 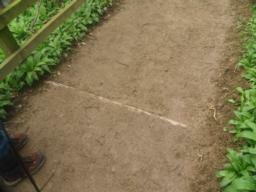 There is a constructed path along the whole route though there are several steep gradients for short sections. 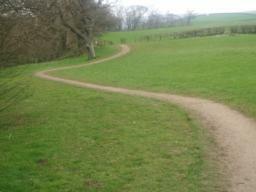 select the gradient makers on the trail map to check these out. 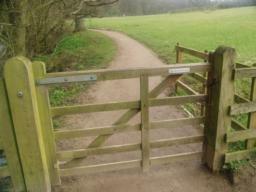 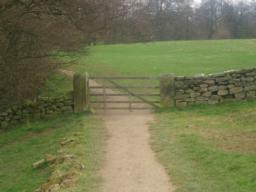 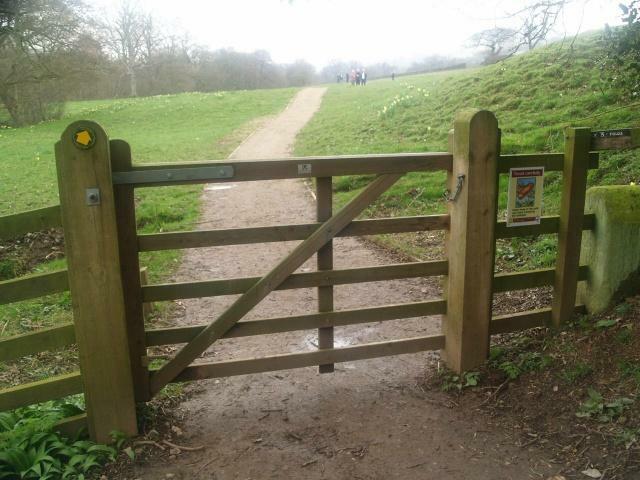 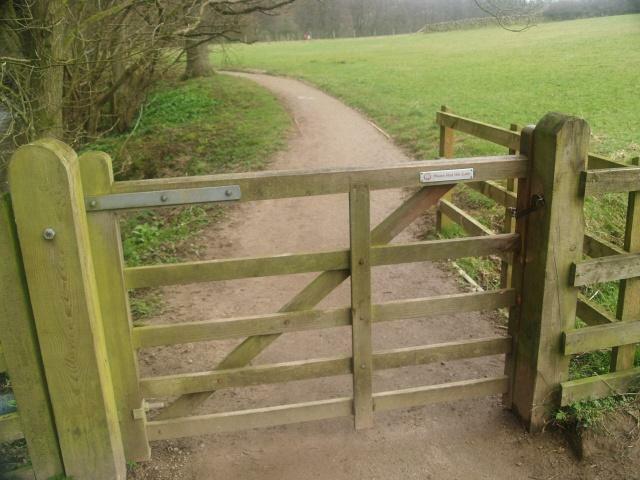 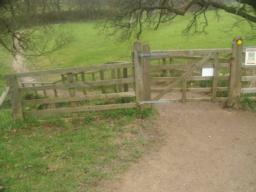 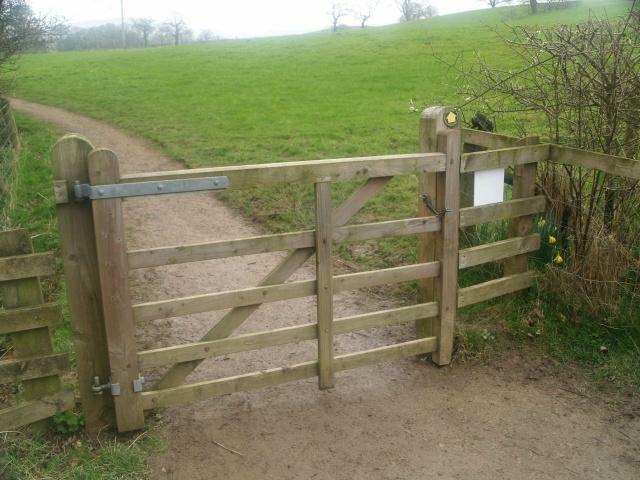 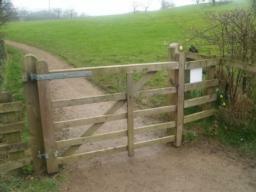 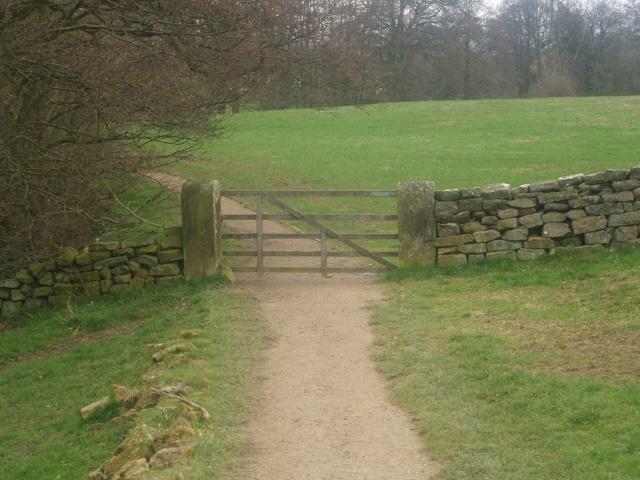 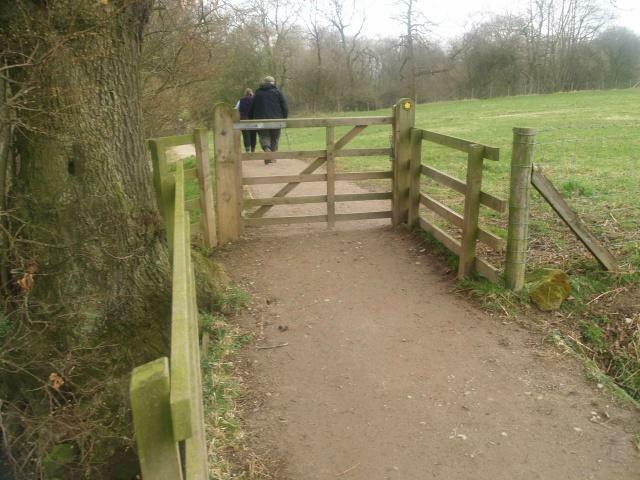 There are 16 gates that must be opened and closed to keep the cattle and sheep secure. 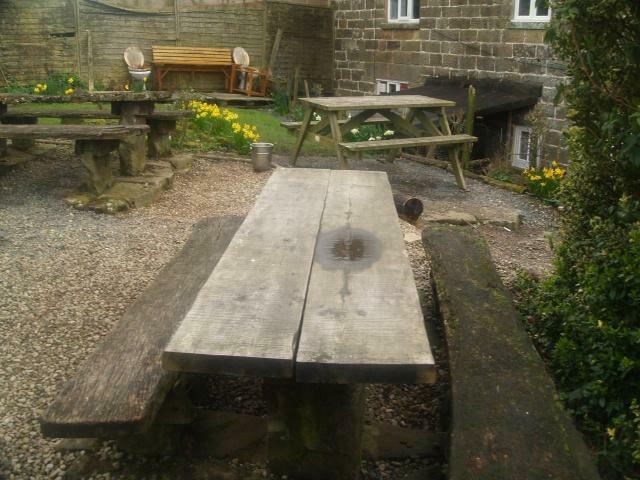 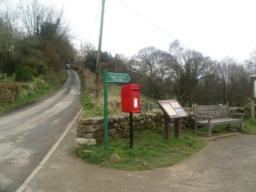 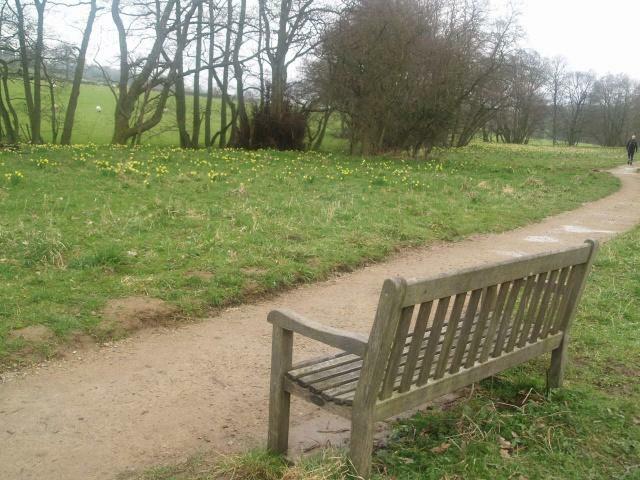 There are seats at the start and finish but only two benches along the route. 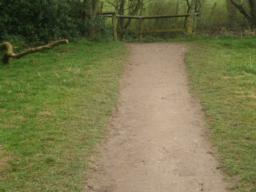 You can check their position on the trail map. 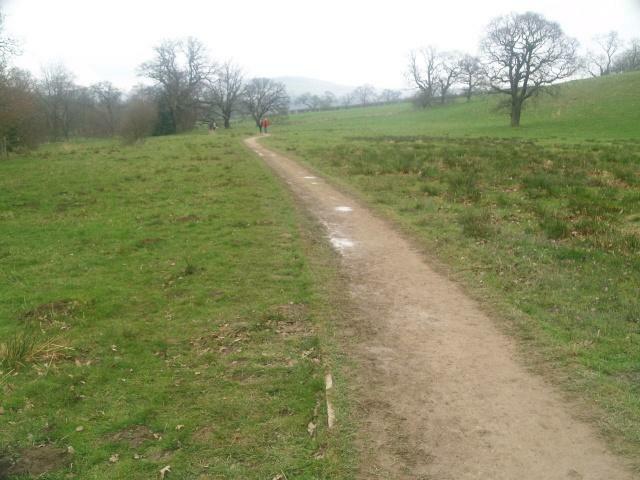 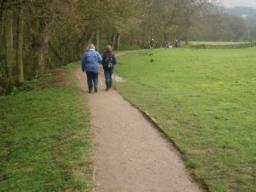 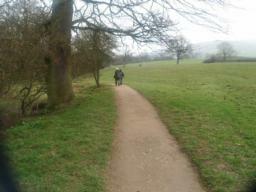 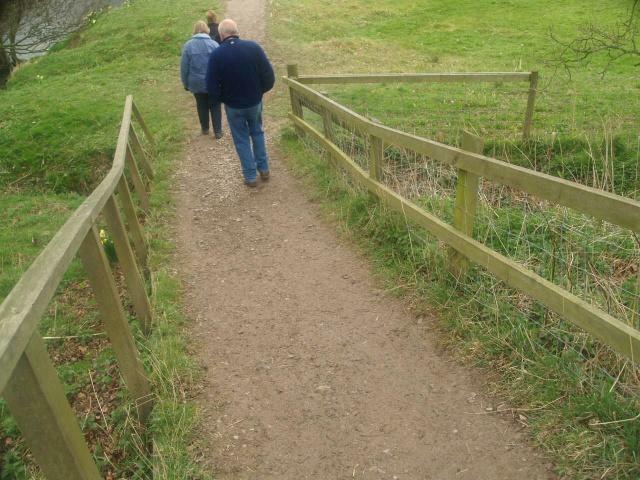 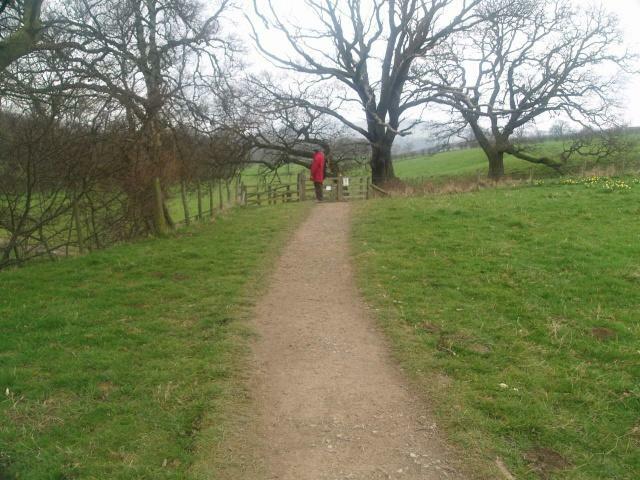 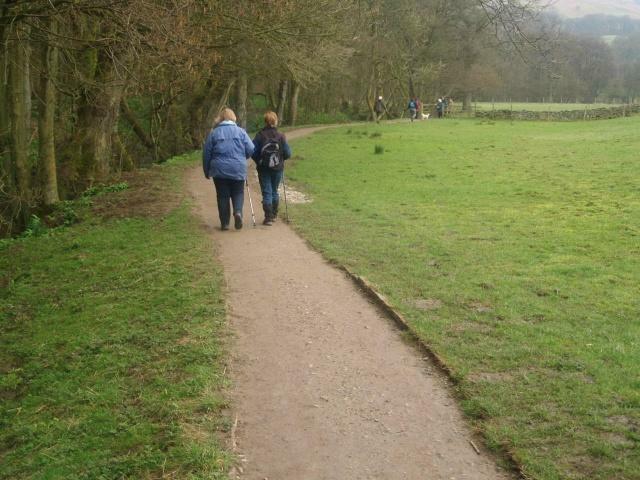 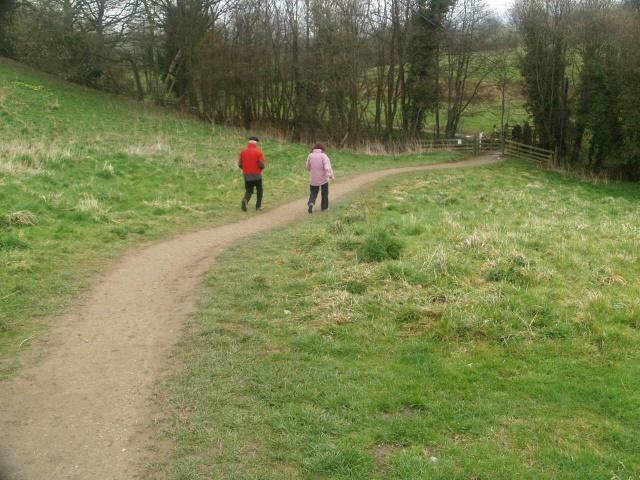 A walk to the first bench and back avoids most of the steeper gradients. 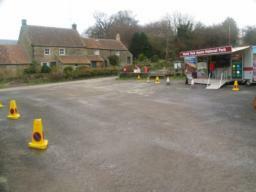 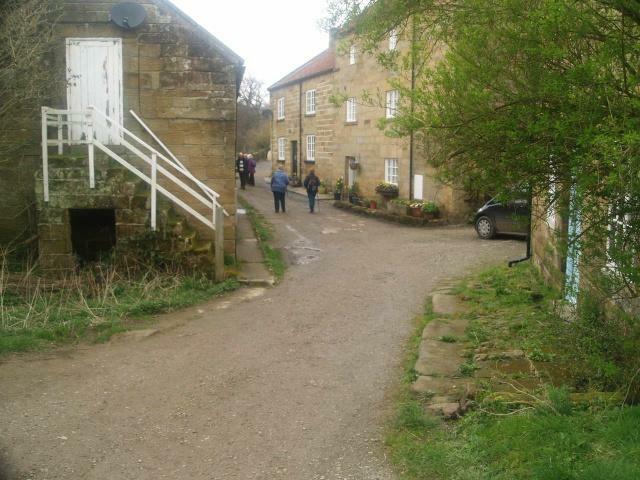 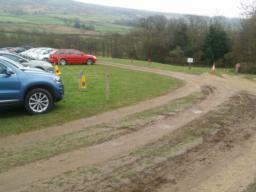 Car Park: There is a car park at the start of the walk. 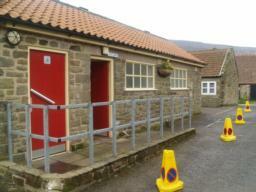 Toilets: Yes there are public and accessible toilets at the start of the walk. A toilet block including an accessible toilet is adjacent to the car park. 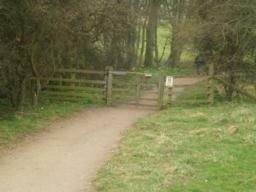 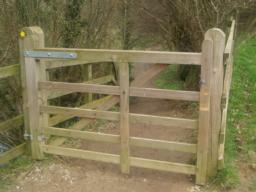 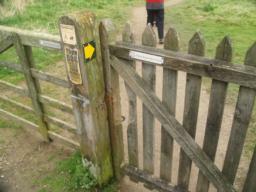 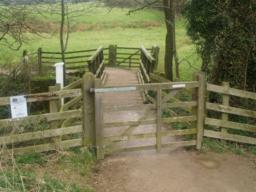 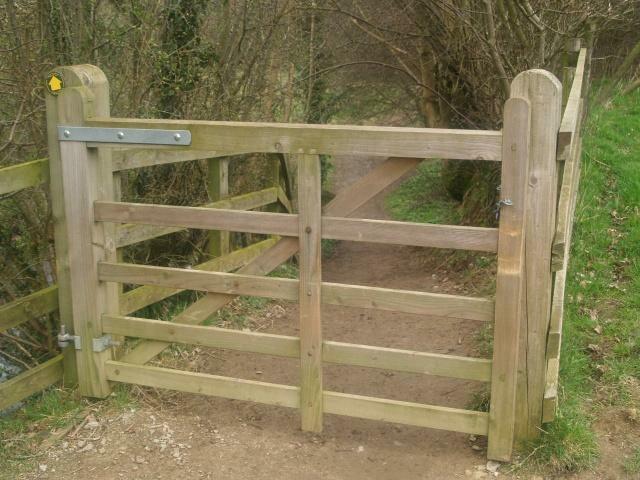 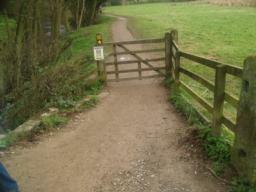 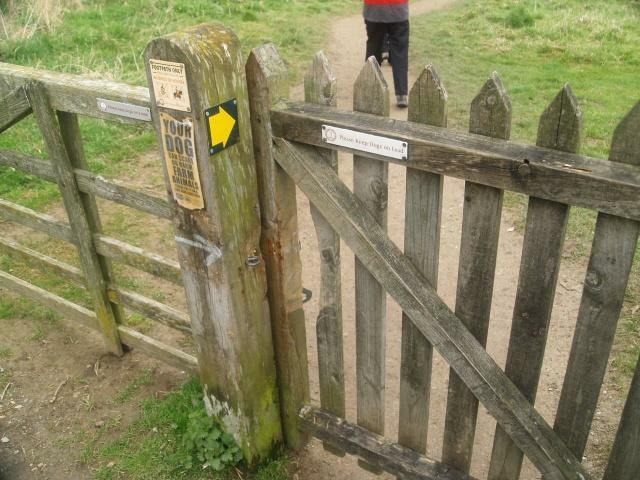 This is the first of 16 gates along the route. 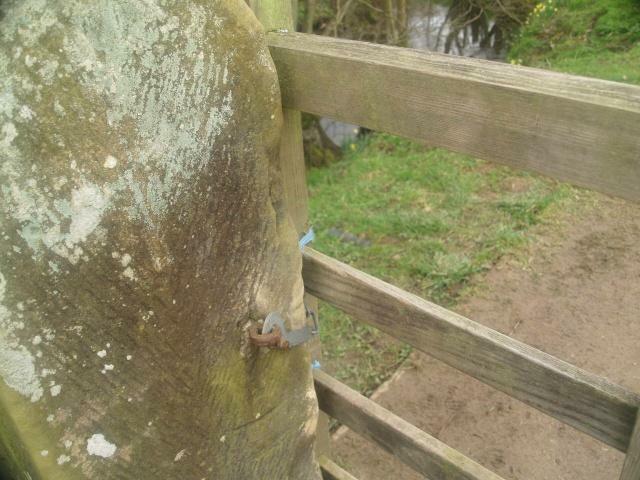 All are wider than 1 metre and have latches that can be reached from both sides. 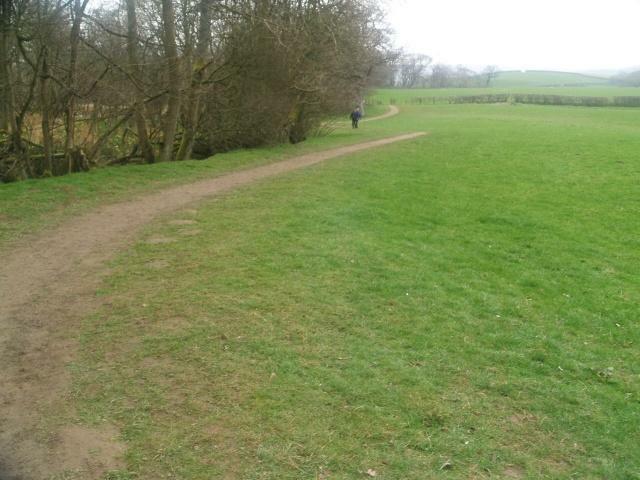 There is a gradient of about 15% (1 in 6) for 15m or so. There is a slope of about 10% (1 in 10) for 3m. 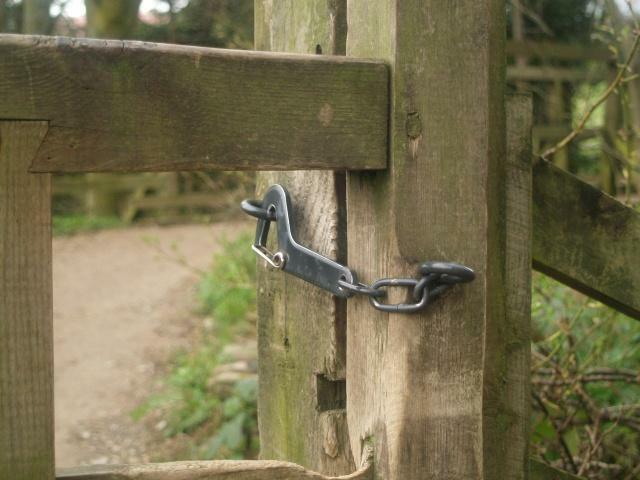 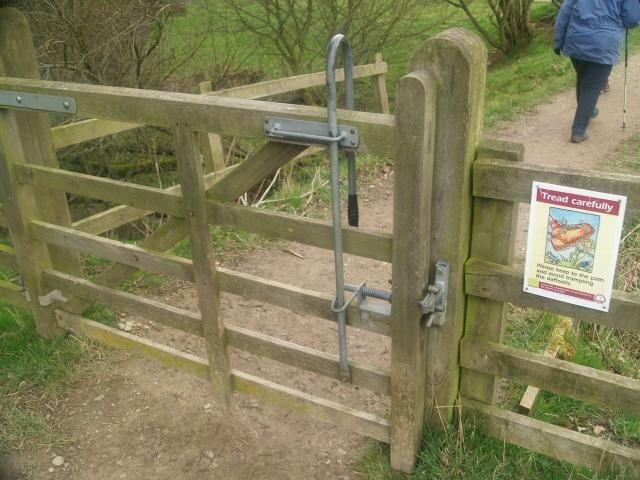 This is typical of the latches you will find all along the path. 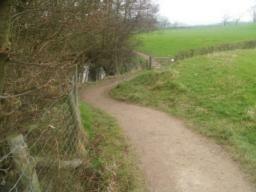 The path rises at a gradient of about 10% (1 in 10) for 30m or so. 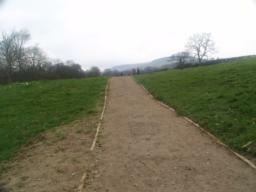 The gradient is about 10% (1 in 10) for some 20m. The flagstone surface may be uneven in places. This is the first of only two seats along the trail. 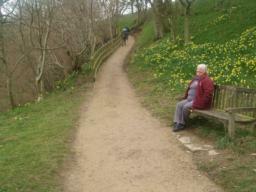 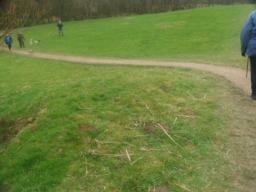 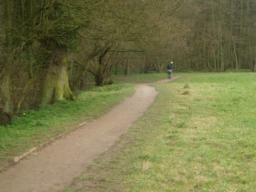 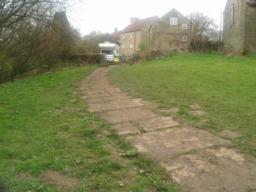 The second seat is just before the biggest slope along the path. 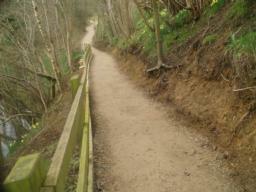 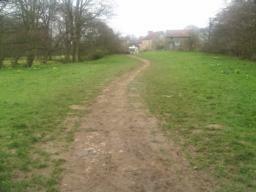 The slope gets as steep as 24% (1 in 4) along this 30m stretch. 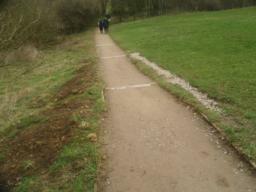 The slope down is up to 17% (1 in 6) for 35m. 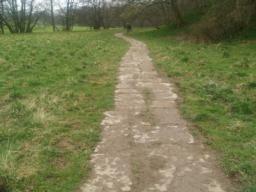 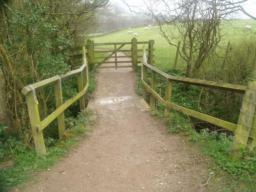 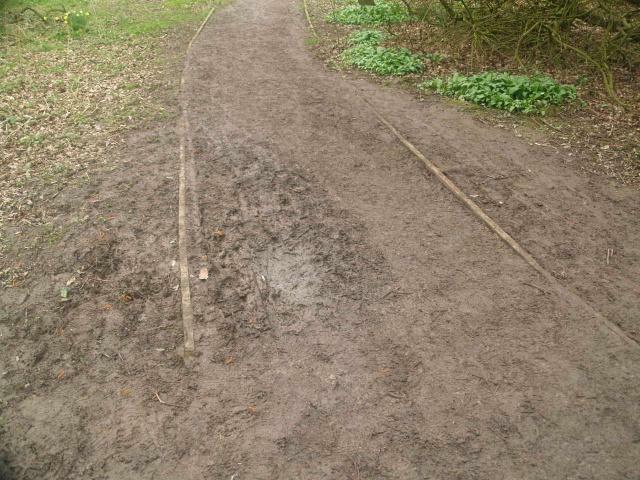 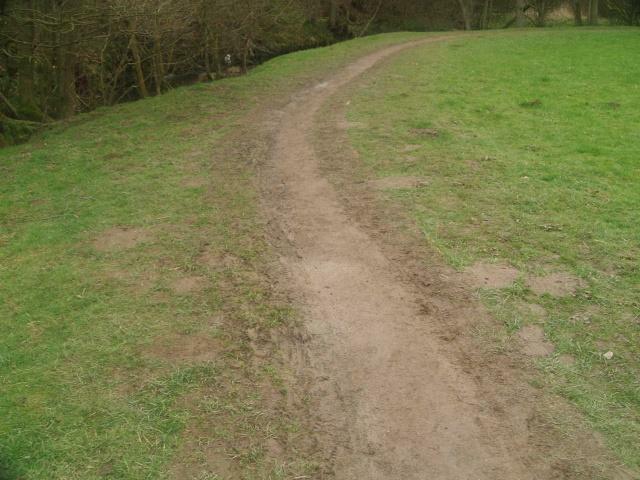 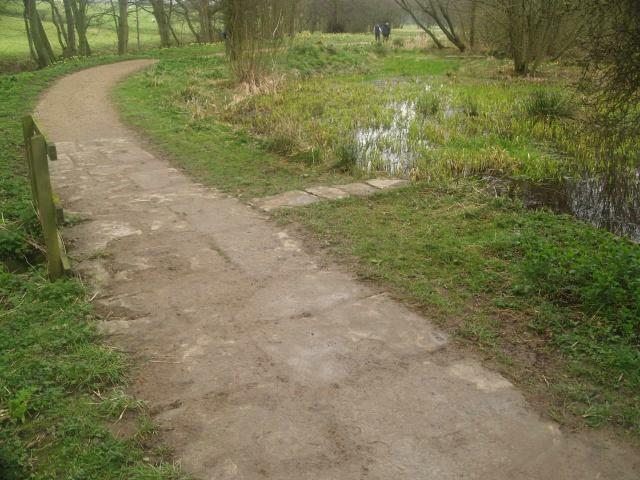 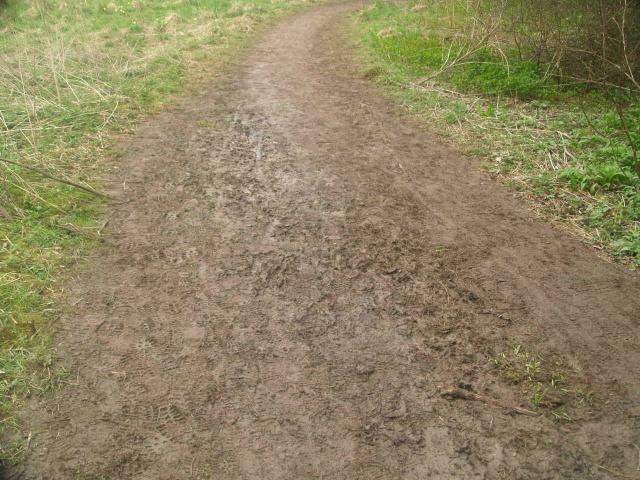 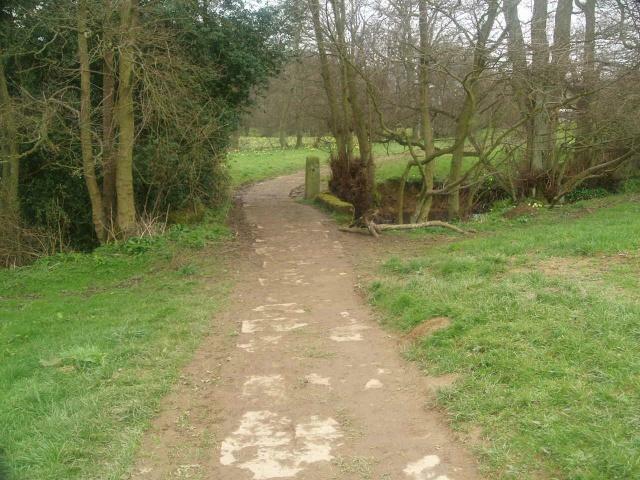 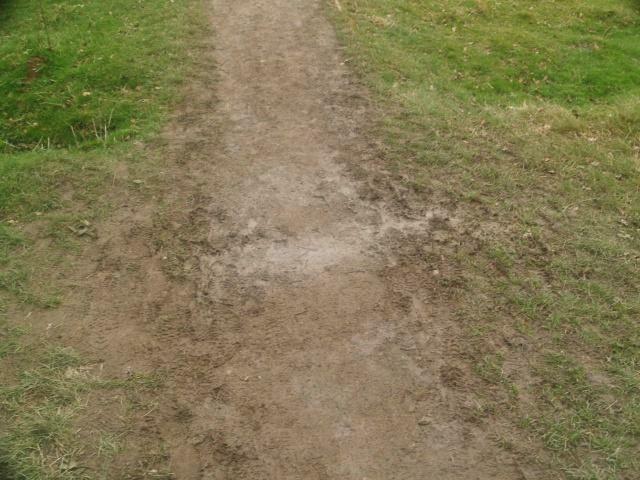 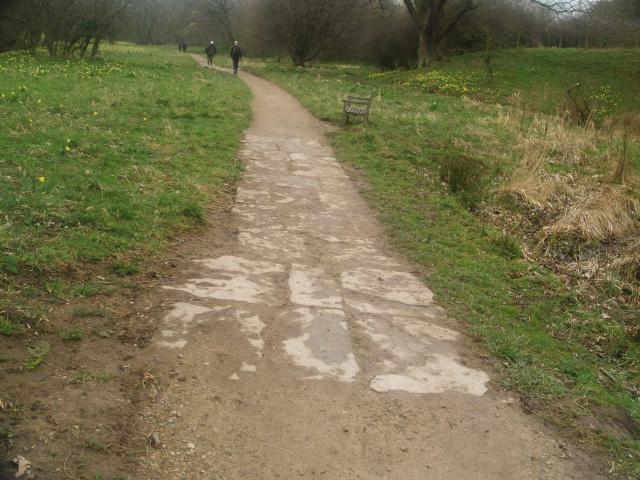 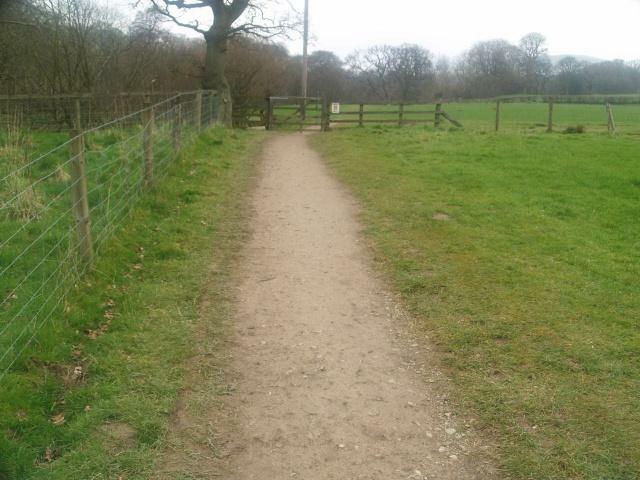 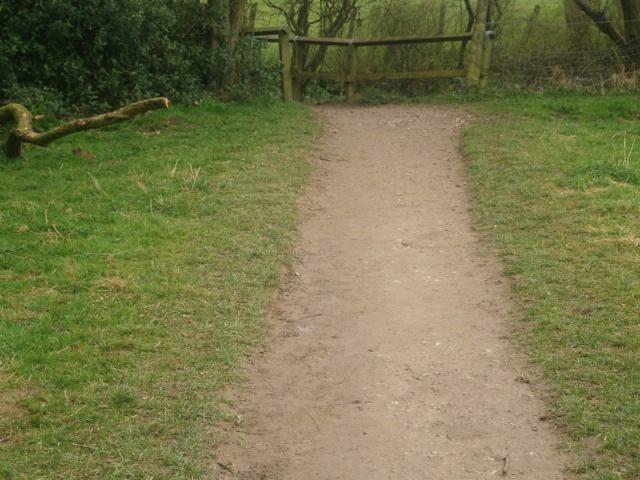 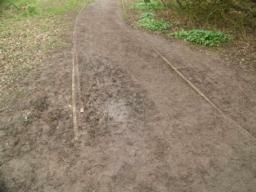 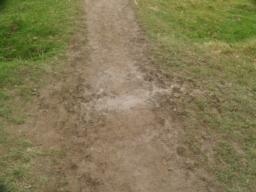 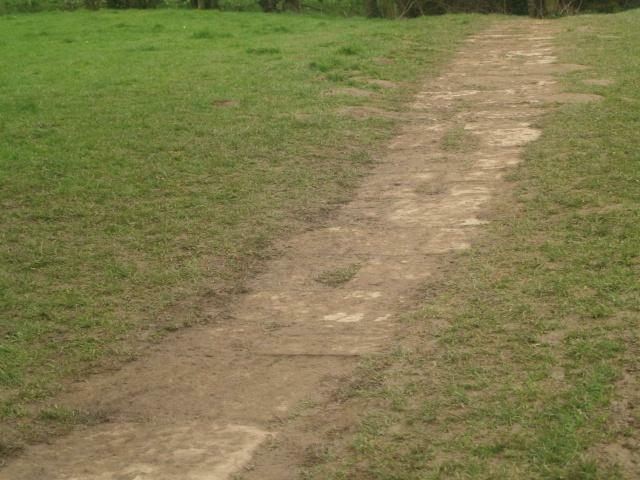 The path may be muddy after wet weather. The gradient is about 16% (1 in 6) for 10m. 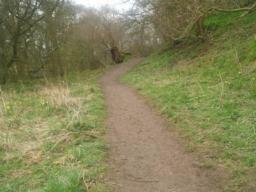 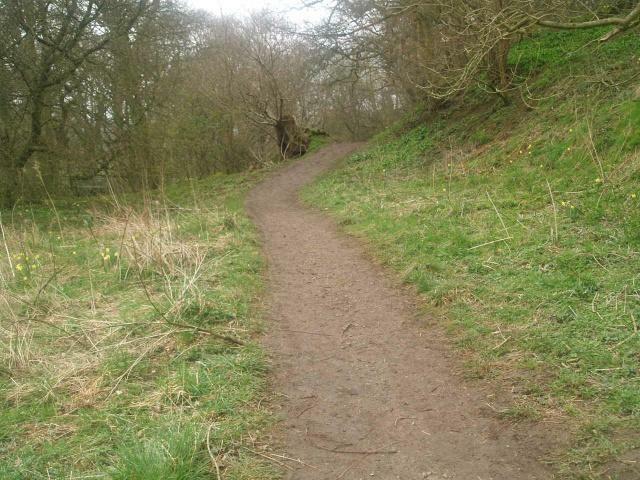 This is probably the steepest slope on the trail approaching 30% (nearly 1 in 3) for 18m. 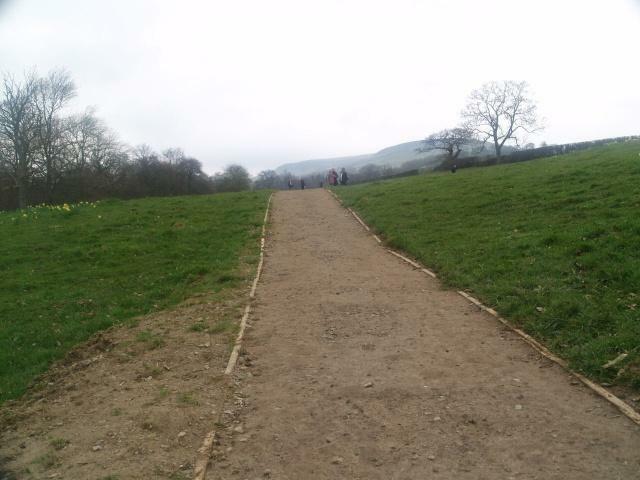 There are slight steps on this slope. 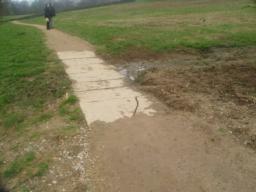 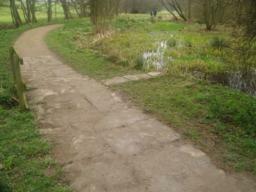 The path may be muddy following wet weather. 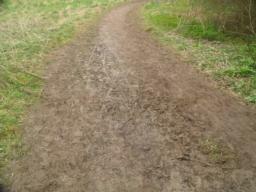 Another muddy patch after rain. The slope is 17% (1 in 6) for 5m. 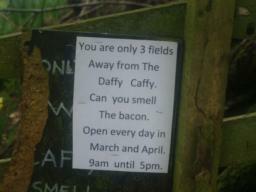 You should be able to smell the bacon by now. 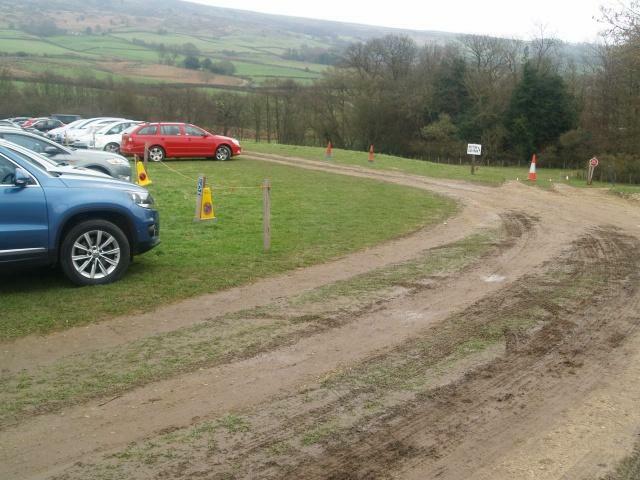 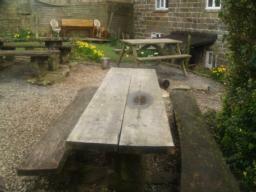 If you haven't arranged a pick up you can rest with a cuppa before heading back along the route you came.